A superb opportunity for our younger supporters to lead out the team on match day. Exclusive behind the scenes tour, including changing rooms. Meet the players before the game. Lots of pre-match photo opportunities in the tunnel, changing rooms and dug out. The chance to run out onto the field with a favourite player or team captain. Mascot profile in the programme including photograph. West Stand seating with VIP access to the post match presentations in the Banqueting suite for two adults and two under 16’s. 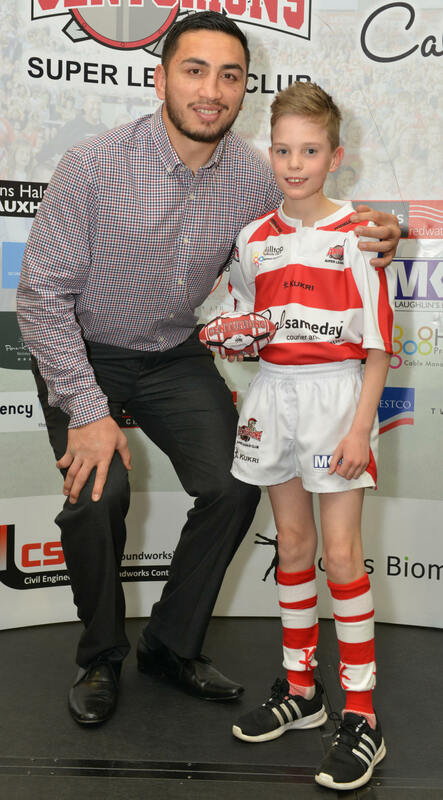 A full Leigh Centurions junior kit can be purchased from the Leigh Retail Unit on Leigh Market. Contact Gillian on 07561 862552 or leighretail@leighrl.co.uk for details of sizes and costs.